2018 Bay Area Book Festival in downtown Berkeley, California! This past weekend was the 4th annual Bay Area Book Festival! I love this annual event and have attended it each year since its inception in 2015. It's my favorite annual book related event, which I look forward to attending with relish each year. Usually, this annual event is held the first weekend in June, but this year it was moved to the last weekend in April. This year, 250 authors were speaking at the 2018 Bay Area Book Festival!! Gotta love the free outdoor fair with 200 literary exhibitors (bookstores, publishers, authors), food trucks, and family fun zone with activities for kids. I had planned to attend the 2018 Bay Area Book Festival both Saturday, April 28th and Sunday, April 29th as each day was filled with excellent author speaking and signing events I wanted to attended. Unfortunately, for me, I missed Day 2 of the 2018 Bay Area Book Festival due to unexpected circumstances, which was a complete disappointment to me as I had looked forward to attending both days. Additionally, I looked forward walking around the rest of the outdoor 2018 Bay Area Book Festival itself as there were so many vendors and other activities to enjoy as well. I will focus this post on what my husband and I enjoyed while attending Day 1 of the 2018 Bay Area Book Festival on Saturday, April 28th. First of all, my husband and I took BART (Bay Area Rapid Transit) into downtown Berkeley to avoid the traffic and parking issues involved with large crowds of people attending this wildly popular literary event. Ngũgĩ wa Thiong’o is one of the world’s most prominent African writers working today, often on the radar for the Nobel Prize. He joins us to discuss the American release of “Wrestling with the Devil: A Prison Memoir.” In 1977, he was imprisoned by the Kenyan government in a maximum security facility because of his artistic defiance of a regime. In prison, he penned a novel—on toilet paper, the only paper to which he had access—that would become his classic, “Devil on the Cross.” He will discuss the prison experience, challenges of writing fiction under twenty-four-hour surveillance, and the spirit of defiance that defines hope. He testifies to the power of imagination to help humans break free of confinement, the story of all art. It is an honor to welcome him to Berkeley. 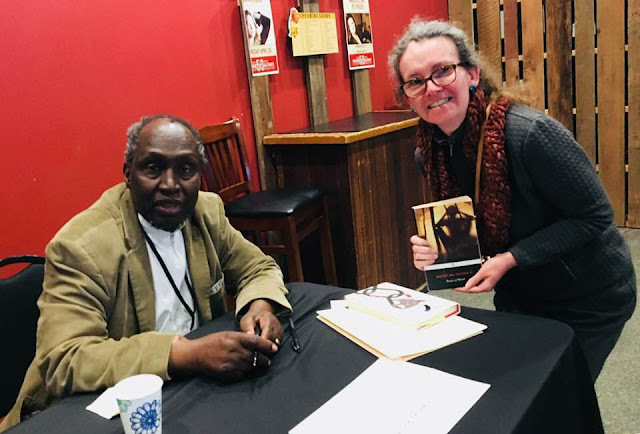 It was an honor to hear Ngũgĩ wa Thiong'o speak at the 2018 Bay Area Book Festival. He had a lot of enlightening things to say/share with audience attending his speaking event. Ngũgĩ wa Thiong'o's thoughts on the importance of imagination was one of the most interesting topics he spoke about during his speaking event on Saturday afternoon. I was able to have Ngũgĩ wa Thiong'o sign a copy of his novel, Petals of Blood, for me. I love languages, so it was totally cool that he wrote the word for 'peace' in his native language for me along with his signature. I've had the novel The Sympathizer by Viet Thanh Nguyen on my list of books to be read but have yet to read this novel... I guess that's going to have to change! Anyway, Viet Thanh Nguyen spoke at the 2018 Bay Area Book Festival about Art and Politics. He was interviewed by Karen Tei Yamashita. Winner of the Pulitzer Prize in 2016 for his novel “The Sympathizer,” Viet Thanh Nguyen—fiction writer, essayist, activist, and UC Berkeley doctoral alum—has become an outspoken voice for refugee rights and justice for immigrants. In 2017 he received a MacArthur Genius Grant, and while he was commended for “challenging popular depictions of the Vietnam War and exploring the myriad ways that war lives on for those it has displaced,” his latest efforts move outward to the plight of refugees across the world. His lauded story collection “The Refugees” explores immigration, identity, love, and family. His latest project, “The Displaced: Refugee Writers on Refugee Lives,” brings together a host of prominent writers. He joins us to today to talk with Karen Tei Yamashita, novelist and essayist on the immigrant experience, about the role of the writer in society, the importance of art to politics, and the power of the written word. I really enjoyed briefly meeting Viet Thanh Nguyen! 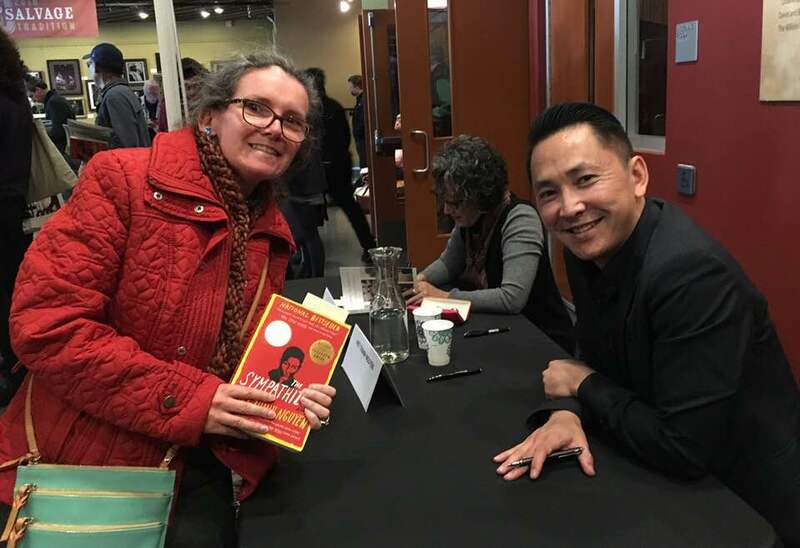 I think it is cool that Viet Thanh Nguyen is back in Berkeley, California for the 2018 Bay Area Book Festival as he earned both his undergraduate and graduate degress from UC Berekeley and now teaches at USC! Me with Viet Thanh Nguyen after he signed my copy of The Sympathizer. The last speaker of the day that we heard was young adult author, Melissa de la Cruz from 3:15pm to 4:30pm! She was interviewed by Jessica Lee. 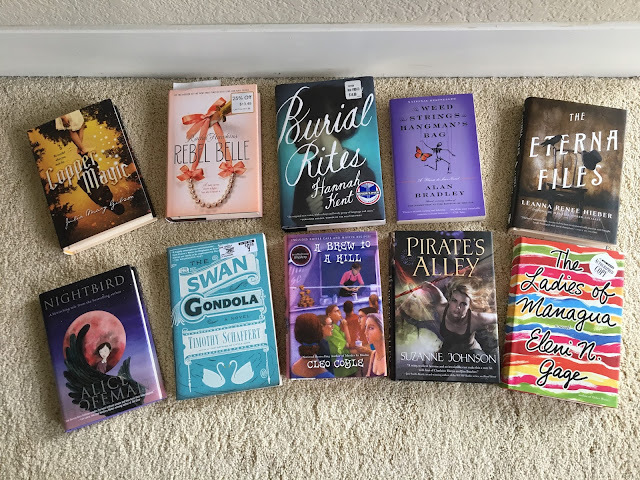 I became aware of Melissa de la Cruz in the past few months through another book blogger, who really enjoys Melissa de la Cruz's Blue Bloods series. I decided that I would like to read one of Melissa de la Cruz's novels, but selecting which novel was a tough decision as Ms. de la Cruz has published 46 novels and writes various genres (historical, fantasy, etc.) within the young adult genre. Suffice it to say that Melissa de la Cruz is a very versatile writer! I ended up with Melissa de la Cruz's stand alone young adult novel, Something In Between. Melissa de la Cruz was an awesome speaker to hear talk about her writing. I was actually surprised that more people were not in attendance to hear her speak at the Bay Area Book Festival. 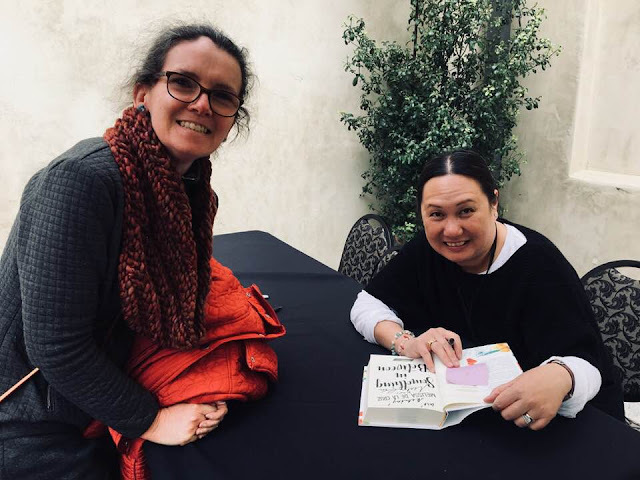 I also had fun practicing my limited knowledge of Tagalog on Melissa de la Cruz while she was signing my book! Me with author, Melissa de la Cruz! In between author talks and signings, my husband and I were able to walk through part of the outdoor fair at the 2018 Bay Area Book Festival. We enjoyed eating lunch outdoors despite the cooler, windy weather with partly sunny, partly cloudy skies. It alternated being too cold or just right in terms of the outdoor temperature. We also enjoyed speaking with other book festival attendees too during our time at the 2018 Bay Area Book Festival. All in all, we had a great day at the 2018 Bay Area Book Festival on Saturday, April 28th! Sadly, I missed out on hearing Joyce Carol Oates, Meg Elison, Viv Alberine, and Lidia Yuknavitch speak on Sunday, April 29, 2018! I'd really wanted to hear all four women speak at this amazing event and have them sign copies of their books for me. But alas, I guess it wasn't meant to be! Melissa de la Cruz Will Be Speaking at the 2018 Bay Area Book Festival Today! 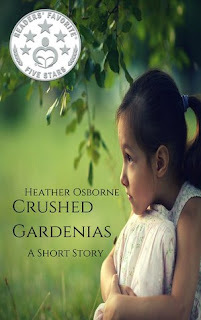 Melissa de la Cruz is a young adult author I've recently learned about... In fact, another book blogger mentioned that she loves Melissa de la Cruz's Blue Blood series. So, I decided I'd attend her speaking engagement this afternoon. Above is a YouTube video of Melissa de la Cruz speaking about one of her novels. Kenyan Author & Contender for the Nobel Prize, Ngũgĩ wa Thiong'o, is Speaking at the 2018 Bay Area Book Festival! To be quite frank, I had never even heard of Kenyan writer, Ngũgĩ wa Thiong'o, until I discovered he would be speaking at the 2018 Bay Area Book Festival today. I've learned that Ngũgĩ wa Thiong'o has been a contender for the Nobel Prize for Literature, so I knew I had to hear him speak at the Bay Area Book Festival this year. Watch the above video of Ngũgĩ wa Thiong'o speaking about how “memory is what makes us who we are." Which books were your first/last read of 2017? 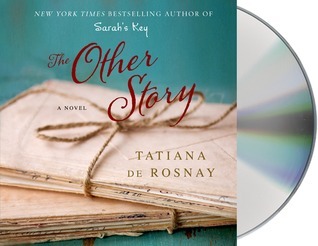 I listened to the unabridged audio version of The Other Story by Tatiana de Rosnay and narrated by Simon Vance this past week. Listening time for The Other Story by Tatiana de Rosnay is 10 hours, 3 minutes. 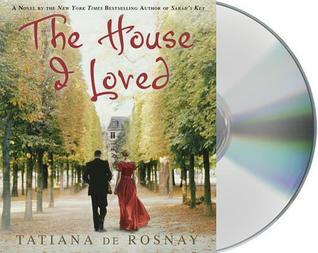 After listening to The House I Loved by Tatiana de Rosnay last month and not enjoying it very much, I decided to listen to another one of her others novels on compact disc. I wanted to L-O-V-E The Other Story by Tatiana de Rosnay based on the summary alone, but this novel quite frankly didn't live up its potential. The Other Story by Tatiana de Rosnay is definitely a multi-layered novel that interweaves the past and the present throughout the novel itself. The primary focus of The Other Story is on the main character, Nicholas Duhamel and how he became a famous author by the age of 29, how he has been dealing with the success of fame and family secrets. I found Nicholas Duhamel to be an immature and unlikable main character. Fame has inflated his ego and turned him into a media whore, as he routinely spends time giving interviews, checking/posting to his Facebook page, Twitter, etc. Nicholas also seems to need/crave the attention of the his fans at large... If someone doesn't recognize who Nicholas is, he seems to be insecure about it. Nicholas has put off writing his next novel, because he doesn't know what to write about... But everyone thinks he's busy writing his next novel as that's what he's lead them to believe. The bulk of The Other Story by Tatiana de Rosnay takes place at a luxury resort in Italy where Nicholas Duhamel's life seems to finally fall apart. I frankly don't feel sorry for him at this point as he did it to himself. Alas, fate intervenes in an all too convenient fashion by the end of The Other Story by Tatiana de Rosnay when a large cruise ship comes to close to the Italian luxury resort and crashes... This plot twist sounded way to much like the Costa Concordia disaster of 2012. Nicholas suddenly transforms his outlook and demeanor after just a few hours of helping to rescue some of the victims of the cruise ship disaster. Nicholas even finds inspiration for his next novel after the tragic death of one of the victims. A lot of other things happen in this novel, but I found The Other Story by Tatiana de Rosnay to be too slow for my taste and the main character so unlikable, that it was difficult to swallow or even care about the story or how/why the main character got there. As far as the narration goes, I think Simon Vance is an excellent narrator. However, I didn't think he was the right narrator for The Other Story by Tatiana de Rosnay. Simon Vance's voice/narration seems much too mature for the main character of Nicholas Duhamel... Nicholas Duhamel is a young, Frenchman of 29 years old and immature. Long story short, I think a narrator with a younger sounding and more carefree voice would have been more suitable for this audiobook. 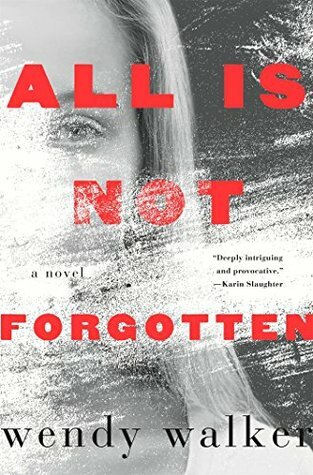 Vacationing at a luxurious Tuscan island resort, Nicolas Duhamel is hopeful that the ghosts of his past have finally been put to rest.… He's now a best-selling author, but when he was 24 years old, he stumbled upon a troubling secret about his family - a secret that was carefully concealed. In shock, Nicholas embarked on a journey to uncover the truth that took him from the Basque coast to St. Petersburg - but the answers wouldn’t come easily. In the process of digging into his past, something else happened. Nicolas began writing a novel that was met with phenomenal success, skyrocketing him to literary fame whether he was ready for it or not - and convincing him that he had put his family’s history firmly behind him. But now, years later, Nicolas must reexamine everything he thought he knew, as he learns that, however deeply buried, the secrets of the past always find a way out. Layered and beautifully written, Tatiana de Rosnay's The Other Story is a reflection on identity, the process of being a writer, and the repercussions of generations-old decisions as they echo into the present and shape the future. I am giving The Other Story by Tatiana de Rosnay a rating of 2 stars out of 5 stars as there were a few scenes that were intriguing/good... But mostly, The Other Story by Tatiana de Rosnay wasn't my kind of read. I enjoy drinking tea... Organic, jasmine green tea is pretty much my all time favorite flavor of tea and sweetened with liquid stevia. However, I'll drink pretty much any flavor of tea as long as it's organic. These days, I am drinking organic chamomile tea as I have difficulty falling and staying asleep at nights... So no caffeine for me. Additionally, I pretty much love all things tea related. Even the topic of reading tea leaves (aka tasseography) is an intriguing topic to me. * A 98-page, illustrated guidebook that gives a brief history of tea and tea leaf reading, the development of the Tea Leaf Fortune Cards, a brief history of traditional tea leaf reading methods, how to divine your fortune using the Tea Leaf Fortune Cards, and a glossary filled with the meanings of each card in the deck. * Drawstring pouch for mixing the cards. * 200 round cards, 3.25" in diameter: 182 symbol cards, 12 month cards, and 6 astral house cards. * Sturdy box to contain the book, cards, and mixing pouch. I thought the 98-page, illustrated guidebook was direct and to the point. I liked the layout of the illustrated book and how it was organized. 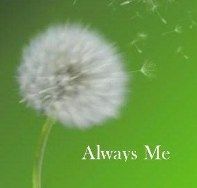 The information provided by Rae Hepburn on how to divine your fortune using the Tea Leaf Fortune Cards was direct and straight forward/uncomplicated. I like the size and shape of the Tea Leaf Fortune Cards themselves, but I feel like the card stock used for these cards are a bit on the flimsy side. I want these types of cards to be as thick and sturdy as a deck of playing cards. Especially if a person is going to be using the Tea Leaf Fortune Cards for frequent readings for themselves and/or others. I also think the artwork for the Tea Leaf Fortune Cards is not that pretty. The mixing pouch (for the cards) is small, gauzy, and a very pretty golden-yellow color... But the bag looks delicate and I am concerned it won't hold up over time for its intended use... especially if the Tea Leaf Fortune Cards are used frequently for readings. I haven't used the Tea Leaf Fortune Cards for a reading yet. So, I am unable to comment on that aspect at this time. I do not think that I'll use these cards that often. But I will do a personal reading for myself just for sure fun at some point in the future. I'm not sure how I really feel about the accuracy of things like tarot card readings, oracle card readings, etc. in predicting/foreseeing the future. Below is a short video of the author, Rae Hepburn, talking about the Tea Leaf Fortune Cards. She also gives a quick reading as well. 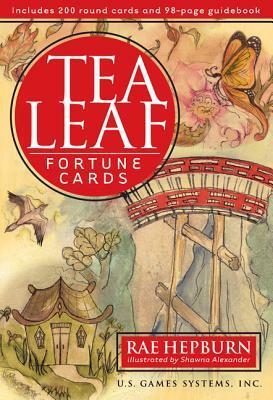 I am giving Tea Leaf Fortune Cards by Rae Hepburn a rating of 4 stars out of 5 stars. I finished listening to the unabridged audio version of Mrs. Sinclair's Suitcase by Louise Walters and narrated by Anna Bentinck and Karen Cass. Mrs. Sinclair's Suitcase by Louise Walters is a work of historical fiction that had been on my reading wish list for quite awhile. I truly enjoy historical fiction and am finally glad that I finally found the time to listen to this novel... However, with that said, I was truly disappointed with Mrs. Sinclair's Suitcase by Louise Walters. 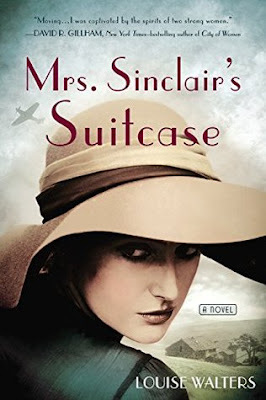 The premise/summary for Mrs. Sinclair's Suitcase by Louise Walters is a good one and the narrators of this novel are excellent, but the storyline and characters were a HUGE DISAPPOINTMENT to me! Mrs. Sinclair's Suitcase by Louise Walters is told through chapters alternating between the past and the present, which is something I do not mind in general, if done well. 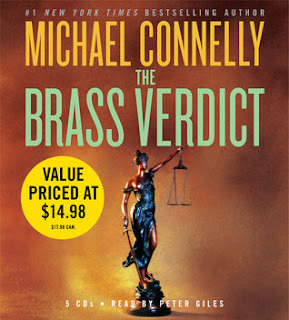 In the case of this novel, I found the entire novel to be a very, very slow read with everything being so long and drawn out. I almost gave up reading Mrs. Sinclair's Suitcase by Louise Walters several times because it is so slow. On top of that, Mrs. Sinclair's Suitcase by Louise Walters takes on topics and side stories that I felt weren't relevant to the main storyline or helped to propel the novel forward in a meaningful way. There were also odd interactions between the main characters themselves as well as between the main characters and the side characters and other issues that are too difficult to describe without giving away too much for those that have yet to read, Mrs. Sinclair's Suitcase. Additionally, the ending was so abrupt! Mrs. Sinclair's Suitcase by Louise Walters had such great reviews from readers on Amazon, that I thought this novel would be such a great one. A heartbreaking and deeply compelling debut, Mrs. Sinclair's Suitcase is a compulsive must-listen about thwarted love, dashed hopes, and family secrets: book-club fiction at its best. Roberta, a lonely 34-year-old bibliophile, works at The Old and New Bookshop in England. When she finds a letter inside her centenarian grandmother's battered old suitcase that hints at a dark secret, her understanding of her family's history is completely upturned. Running alongside Roberta's narrative is that of her grandmother, Dorothy, as a 40-year-old childless woman desperate for motherhood during the early years of World War II. After a chance encounter with a Polish war pilot, Dorothy believes she's finally found happiness but must instead make an unthinkable decision whose consequences forever change the framework of her family. The parallel stories of Roberta and Dorothy unravel over the course of 80 years as they both make their own ways through secrets, lies, sacrifices, and love. Utterly absorbing, Mrs. Sinclair's Suitcase is a spellbinding tale of two worlds, one shattered by secrets and the other by the truth. I am giving Mrs. Sinclair's Suitcase by Louise Walters a rating of 1 star out of 5 stars! reads, Harry the Dirty Dog. Classic children's books are wonderful! Over the years I've read books by famous authors (or maybe not so famous authors) that I didn't end up enjoying. These novels turned me off in some way that I decided I preferred to not read another book written by the author again in the future. 1. Douglas Adams - I read The Hitchhiker's Guide to the Galaxy. This book seems to have a cult like following that apparently I am not in tune with. Let's just say this novel just wasn't my thing and leave it at that. 2. Ernest Hemingway - I read The Old Man & The Sea. I also tried reading Islands in the Stream on several occasions. Oh boy, I didn't find either book appealing. 3. William Faulkner - I read either As I Laying Dying or The Sound & the Fury for a college English class decades ago. I have no idea what Faulkner was trying to say in his novel. I found his writing painful to read at the time. 4. Philipp Meyer - I read his novel, The Son, a few years ago for a book club. 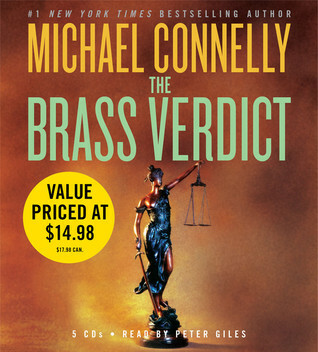 Although I didn't dislike this novel, it felt lacking some how. It just didn't meet my expectations. 5. Mario Vargas Llosa - I read his novel In Praise of the Stepmother. What an odd novel. It was creepy. 6. Helen Oyeyemi - I read Mr. Fox and simply didn't like this novel. 7. Ian Fleming - I read Casino Royale a few years ago to see how the novel compared to the movie. I think Ian Fleming is a decent writer. I'm just not interested in reading anymore James Bond novels. As an avid book lover, I can't believe I am writing this, but I'll stick to the movie franchise version of James Bond. 8. 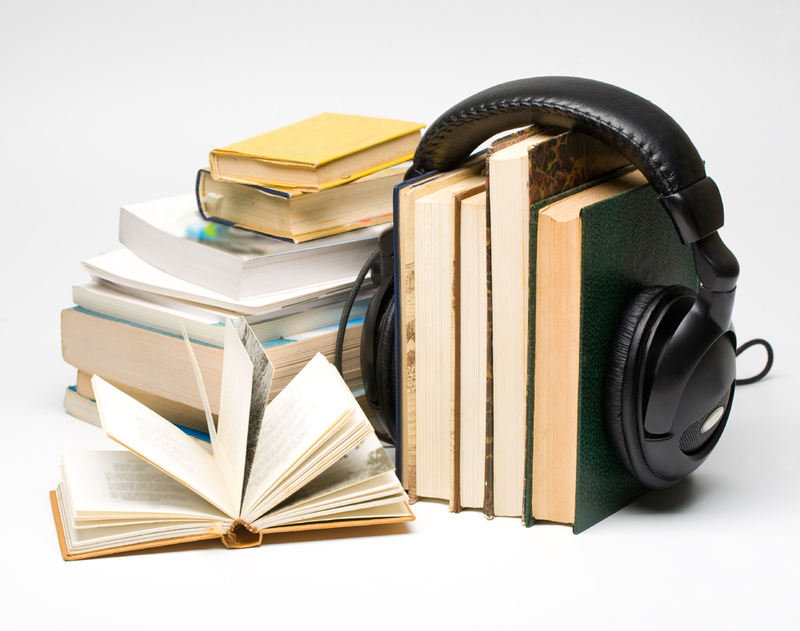 Edith Wharton - I listened to the unabridged audio version of House of Mirth and thought it was so BORING! 9. Andre Dubus III - I read the novel, The House of Sand and Fog, when it was an Oprah Book Club pick. I disliked it intensely. The main characters were frustrating to me. I have no desire to read any other books written by Andre Dubus III. 10. 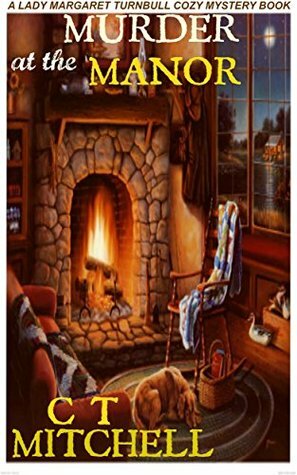 Denise Swanson - Okay, I've read lots of cozy mystery novels and there are loads of authors and novels in this genre that are duds in my opinion. 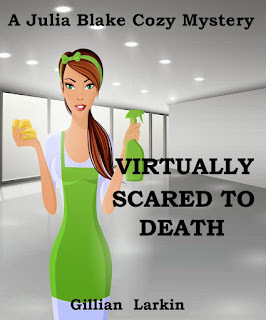 Denise Swanson isn't the worst writer out there in the cozy mystery genre. But after reading two of her Scumble River Mysteries, I decided to pass on reading anymore of her novels. Are there authors that have turned you off from reading their books in the future? Shop Locally on Independent Bookstore Day on Saturday, April 28, 2018! 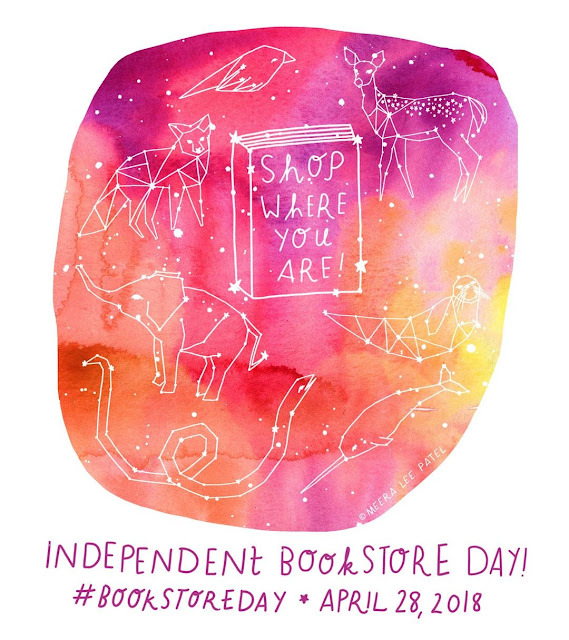 Two weeks from today is Independent Bookstore Day!! Please support your local, independent bookstore by shopping at it as often possible. Author, Celeste Ng, is this year's Ambassador for Independent Bookstore Day. 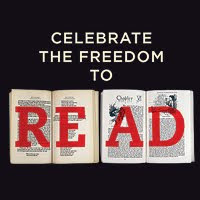 Check out Celeste Ng's video on YouYube for Independent Bookstore Day. 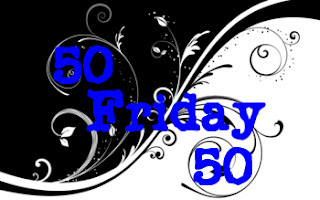 This week's topic is picking one's Favorite/Least Favorite Short Story! Wow, this is a really difficult topic to choose from as I've read a lot of short stories over my lifetime! 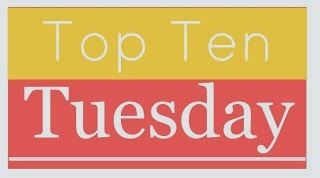 I'm trying to mentally go through all the short stories I've read over the years and decide which ones fit this weeks topic the best for each category! Do you have a favorite or least favorite short story? Years ago, I read Jules Verne's novel, 20,0000 Leagues Under The Sea, for the very first time. I enjoyed reading, 20,000 Leagues Under The Sea, so much that I reread it again a few years later. Jules Verne's writing is so vivid, very detailed, and realistic. I felt like I was reading someone's travelogue/personal diary when I read 20,000 Leagues Under The Sea. I could easily imagine myself at the scene of events. If you love classics and the science fiction genre, then you have to read a Jules Verne novel at least once in your life!! My goal had always been to read another novel written by Jules Verne after reading, 20,000 Leagues Under The Sea. But that didn't happen until this year when I finally decided to listen to the unabridged audio version of The Mysterious Island by Jules Verne and narrated by Berny Clark. 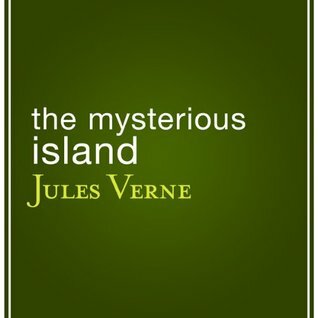 Listening time for The Mysterious Island by Jules Verne is 19 hours, 35 minutes. What initially attracted me to, The Mysterious Island by Jules Verne, was that Captain Nemo (a character from 20,000 Leagues Under the Sea) makes a small appearance in The Mysterious Island. Also, the plot for The Mysterious Island sounded intriguing, so I couldn't resist listening to the unabridged audio version of this novel. The Mysterious Island is divided into three parts. Essentially, this novel is about a group of five American men, who are prisoners escaping the civil war in a hot air balloon and become castaways on an uncharted island. They must colonize the island in order to survive, which is the main focus of the novel. As readers, we learn about their lives colonizing the island where mysterious events occur that the main characters cannot easily explain away. Each character has their own unique skill set that helps them survive as a team for four years on an island not inhabited by a nation of other people. As far as The Mysterious Island goes, it is another vividly detailed novel written by Jules Verne. It's amazing how much detail Jules Verne includes in his novels!! While reading, The Mysterious Island, I felt like I was right there with the main characters as they became familiar with their new surroundings and making a new life from scratch. At various times though, I felt like Jules Verne overly described events in way too much detail in this particular novel. I definitely felt like some of the details and events could have been watered down a bit at times for a better overall reading experience. I also felt like the start of The Mysterious Island, which set up the main characters, and the end of the novel, which describes the main characters leaving the island, did not contain as much detail as the middle section of this novel. Additionally, I felt like the ending was wrapped up too conveniently as to how the main characters escaped the island and returned to the United States. However, that aside, I did like the main characters in The Mysterious Island, as they were all well developed and likable. I also thought that some of Jules Verne's viewpoints/attitudes expressed through the characters were outdated, which I'm sure is due to the time period in which this novel was written. Otherwise, The Mysterious Island by Jules Verne was a really good read. I also enjoyed Berny Clark's narration of The Mysterious Island. I am giving The Mysterious Island by Jules Verne a rating of 4 stars out of 5 stars. 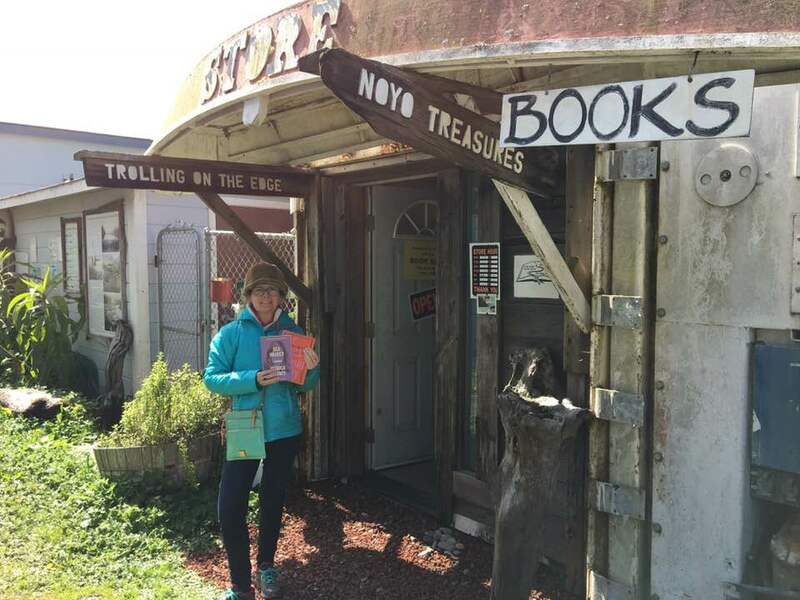 Friends of the Library Used Bookstore in Fort Bragg, California! It was by pure happenstance that my husband and I discovered the Friends of the Library Used Bookstore in Fort Bragg, California this past weekend. This small hidden gem is tucked away in the Harbor District of Fort Bragg and is far from the Fort Bragg Public Library itself. 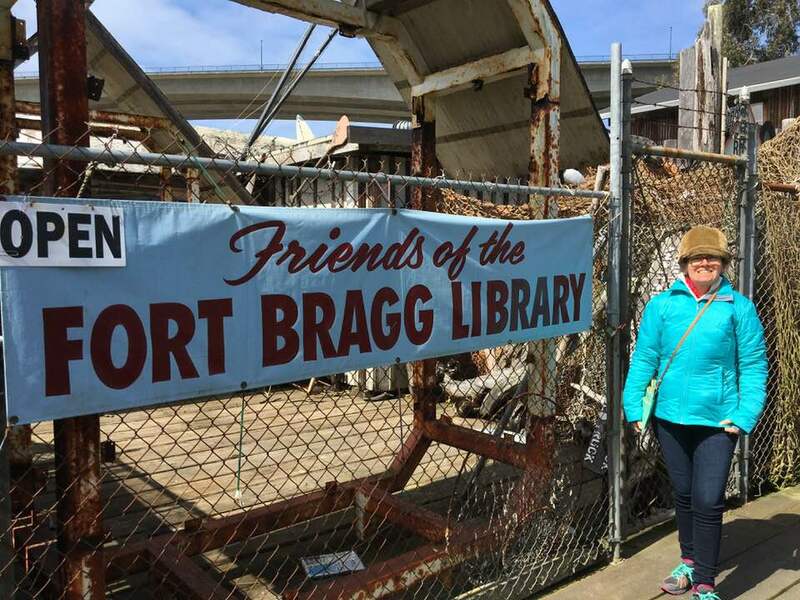 The Fort Bragg Harbor District is an eclectic mix of restaurants, a whale watching tour business, abandoned/run down looking buildings, and other waterfront businesses that do not cater to the tourist industry. So, one would never imagine finding an FOL Used Bookstore in such a location. However, it just so happened that my hubby and I had decided to take an evening drive through the Harbor District in Fort Bragg before sunset on Saturday evening. We found an outlet to the beach and decided to take a walk. On our drive back to where we were staying in Fort Bragg, we saw a sign that read 'Used Book Sale Friday Through Sunday 11-3'. So, on Sunday morning, we stopped by the book sale. I am so glad we did! I discovered two used books in great condition that were on my reading wishlist... It's always fun to find books you already want to read at FOL Used Bookstore sales! The Book Store & Vinyl Cafe in Fort Bragg, California!! Last weekend, my hubby and I visited Fort Bragg California for our 16th wedding anniversary! The first two days of our trip were rainy and cold, which lead us to spend more time indoors. 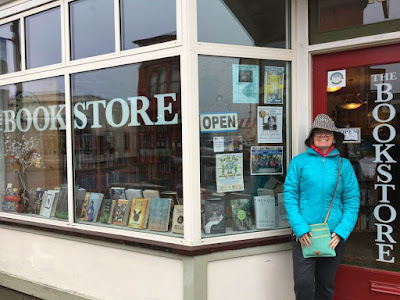 We visited The Book Store & Vinyl Cafe located in downtown Fort Bragg, California. This independent used bookstore and vinyl record store is small, charming, and filled with character! I loved visiting this indie bookstore quite a bit as it had a lot of great books available for purchase. Plus, we enjoyed listening to vintage music during our visit to The Book Store & Vinyl Cafe. The one staff member on hand was friendly and helpful. I received some great book recommendations and came away with a used edition of The Lost City of Z: A Tale of Deadly Obsession in the Amazon by David Grann. I haven't read anything written by David Grann before, so I look forward to reading it down the road. Supporting independent bookstores is a good thing! Last weekend, my husband and I celebrated our 16th wedding anniversary by taking a mini vacation to the coastal town of Fort Bragg, California from Thursday April 5, 2018 through Monday, April 9, 2018. It was our first time visiting Fort Bragg. During our visit to Fort Bragg, we stayed in a charming, studio with a full kitchen and a carport, which we rented through AirBnB. The studio was located a few blocks away from downtown Fort Bragg. I loved how close we were to all the activities of downtown Fort Bragg without being disturbed by the noise of pedestrian foot traffic, vehicle traffic, etc. in the downtown area. 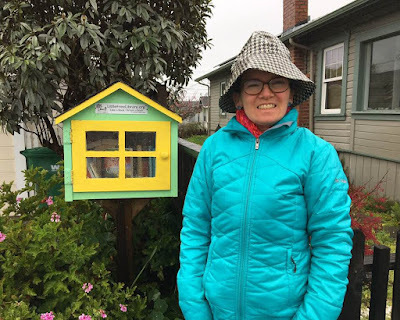 I also discovered a Little Free Library four blocks from where we were staying, so I was delighted in leaving three paperback books and taking two paperback books in return. I just love Little Free Libraries!! All in all we had a fabulous stay in Fort Bragg... Although, I must admit it would have been lovelier had it not rained nonstop during the first two days of our stay. We had a lot of outdoor activities planned that we had to scale back on due to the weather. We ended up spending time indoors at a couple of museums and even an indie bookstore! In 2015, Misty was promoted to principal dancer at the American Ballet Theatre, making her the first African American woman to ever be promoted to the position in the company’s 75-year history. 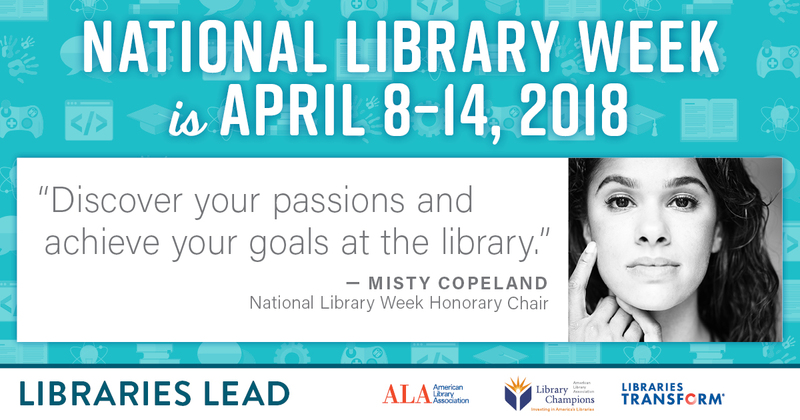 Misty is the author of the New York Times bestselling memoir, Life in Motion and her 2014 picture book, Firebird, won the Coretta Scott King Book Illustrator Award in 2015. Her new book, Ballerina Body, an instant New York Times Bestseller, published in March 2017. Learn more about the events held during National Library Week by click on the top link. Here's what I've completed on the poncho I'm making for my mom. I love reading and I love knitting. Both of these activities have become my favorite hobbies. In the past couple of years, I've found a way to combine by love of reading and knitting by listening to an audiobook while I knit! This way I can do both of my favorite hobbies at the same time. During the past week, I've been listening to the unabridged audio version of The Mysterious Island by Jules Verne, while working on a drop stitch poncho I am knitting for my mom for Mother's Day. 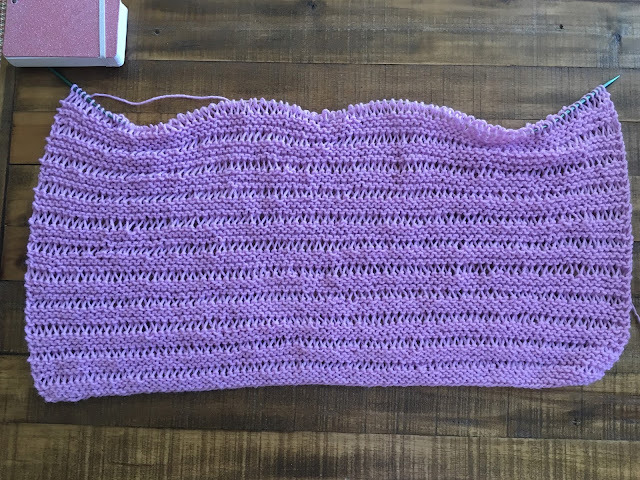 I decided to knit the poncho using worsted weight yarn in a solid lilac color that's a perfect color for spring. Plus, my mom wears a beautiful lilac nail lacquer during the spring and summer months that will go perfectly with the poncho I am knitting for her. I've really enjoyed listening to an audiobook while knitting the poncho I'm making for my mom. Have you found ways to combine your favorite hobbies together so that you can do them at the same time?